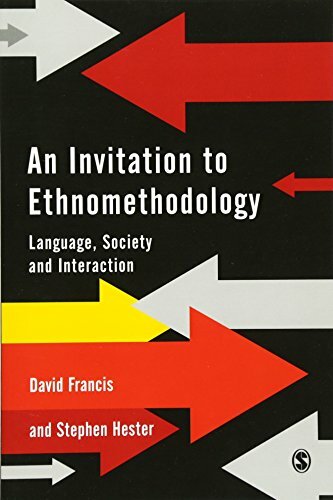 This book offers a new and rigorous approach to observational sociology that is grounded in ethnomethodology and conversation analysis. Throughout the authors encourage the reader to explore the social world at first hand, beginning with the immediate family context and then moving out into the public realm and organizational life. Examples of observational analysis are given with reference to topic areas such as family life, education, medicine, crime and deviance, and the reader is shown how to conduct their own inquiries, using methods and materials that are readily and ordinarily available. Drawing on both original material and published studies, Francis and Hester demonstrate how observational sociology can be carried out with an attention to detail typically overlooked by more traditional ethonographic approaches. View More In Experiments, Instruments & Measurement. If you have any questions about this product by Brand: SAGE Publications Ltd, contact us by completing and submitting the form below. If you are looking for a specif part number, please include it with your message.